Take your time getting to know your students and establish good rapport on the first day of Coaching. This will help set the tone for the rest of the school year. Keep an eye out for important emails from coordinators throughout the year. Remember your students’ names by writing them down on the first day of class. The first day of coaching can be hectic; be sure to arrive early and allow plenty of time to locate your class. Implement your training and always strive to be a positive role model for your students. Austin Partners in Education is fortunate enough to be surrounded by tech companies willing to support and encourage Austin ISD students and teachers. 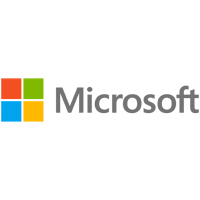 One of our largest supporters is Microsoft. Employees, including Community Development Specialist Deidre Honea, work tirelessly to ensure Austin classrooms are equipped with the latest technology to make learning easier and more effective. Not only are teachers offered Microsoft products, but free training workshops and career development days are also made available. Since fall of 2006, Toni Lambert has taken time out of her job as an Assistant Director at Austin Public Library to volunteer with APIE as a 2nd Grade Reading Classroom Coach. 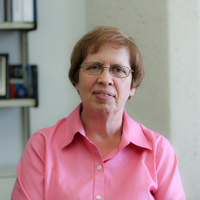 At a young age, Toni’s love for reading was fostered by teachers and school librarians, which later influenced her to pursue a profession as a librarian. She describes her APIE coaching experience as gratifying and considers the time she spends reading to students the highlight of her week. The kids! I’ve been volunteering with APIE since I moved to Austin in the fall of 2006, and I consider the time that I spend reading with the children the highlight of my week. It’s so gratifying to see the smiles on their faces when we enter the room and to note how their reading skills improve. Yes, I think so. I remember how frustrating it was when the reading lesson in class was at the wrong level. We were never all reading at the same level, so most lessons were too easy (and boring) for some students and too difficult for others. I think it would have made a difference to have someone come in every week to work with small groups who were reading at the same level. I would have loved having someone like an APIE volunteer come in to read with me each week. Near the end of the school year, the year before last, I told the children that we could play a game or color if we finished the lesson early. I was thrilled when both of them told me that they would rather read to me from books that they had checked out from the school library. Earlier in the school year, when I made the same offer, they wanted to color; so it was great to have them choose reading! Until the program ended that year, I made sure to leave a few minutes for each child to read to me and the other children from the book of their choice. Other thoughts or APIE related stories to share? APIE makes it easy for volunteers to work effectively with children on their reading. I’ve found the staff to be very supportive and I’ve noticed that the materials seem to get better every year. Learn more about helping Austin ISD students here. 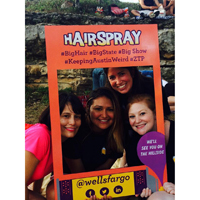 Aug. 13: Back to School Bash with Microsoft at the Round Rock Express. Please RSVP to get your tickets in advance to dehonea@microsoft.com. Sept. 2: Dropbox Austin Open House – Welcome to the Neighborhood! The 2015-2016 school year is quickly approaching. 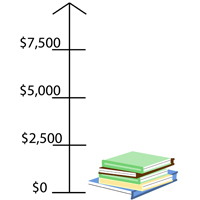 Help us start the school year off right with your gift of $15, $25, or $35. Donate now!